Eight of Doremus's articles in the legal literature have been selected for reprinting in the Land Use and Environment Law Review, an annual compilation of the year's leading works. 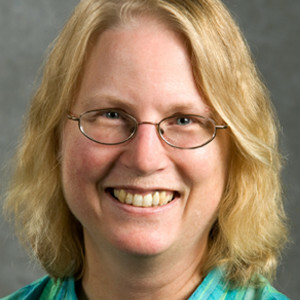 Her recent publications include Water War in the Klamath Basin: Macho Law, Combat Biology, and Dirty Politics (Island Press, 2008) (with A. Dan Tarlock); "Scientific and Political Integrity in Environmental Policy," Texas Law Review (2008); "Data Gaps in Natural Resource Management: Sniffing for Leaks Along the Information Pipeline," Indiana Law Journal (2008); and "Precaution, Science, and Learning While Doing in Natural Resource Management," Washington Law Review (2007). As a collaborator on the UC Berkeley-led efforts for effective implementation of the Sustainable Groundwater Management Act (SGMA), Doremus brings decades of expertise in environmental law, natural resources law, and law and science. Doremus brings a strong background in life sciences and a commitment to interdisciplinary teaching and scholarship to her work at Berkeley Law. She earned her PhD in Plant Physiology from Cornell University and was a post-doctoral associate at the University of Missouri before making the transition to law. In addition to her law school teaching experience, she has taught in the graduate ecology program at UC Davis, in the College of Natural Resources at UC Berkeley, and at the Bren School of Environmental Science and Management at UC Santa Barbara. She has been a principal investigator on two major NSF IGERT interdisciplinary training grants and a multidisciplinary grant dealing with hydropower relicensing in California. She has co-authored papers with economists and ecologists, and has been a member of two National Research Council review committees. Doremus received her JD and Environmental Law Certificate from Berkeley Law, where she was an articles editor for the Ecology Law Quarterly and a member of the Order of the Coif honor society. She then clerked for Judge Diarmuid F. O'Scannlain of the U.S. Court of Appeals for the Ninth Circuit, practiced municipal and land use law with the firm of Eickelberg & Fewel in Corvallis, Ore., and taught at the University of Oregon and Oregon State University before beginning her law teaching career at UC Davis in 1995. She is a Member-Scholar of the Center for Progressive Reform and an elected member of the American Law Institute. She was honored as a UC Davis Chancellor's Fellow for 2001-2006.